Built in 1985, Tara is a carefully planned and managed 55+ Active Adult Community providing its residents with a superior quality of life. 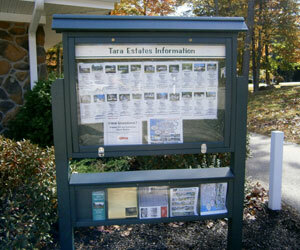 Tara staff are dependable, friendly and responsive. They are dedicated to your long-term happiness within the community and believe that quality living is always Objective Number One. 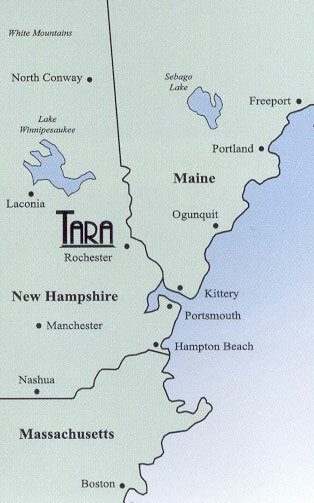 Tara Management strives for perfection consistently and our “Open Door” policy is genuine. We are accessible and make every effort to deliver services in a manner that is consistently fair, dependable and sensitive to individual needs. Tara boasts 350 homes with 200 more sites ready for development. Our lot sizes begin at 10,000 sq. ft. Lot rent includes trash disposal and street maintenance. The mail house is located at the entrance of the park. Each residence has its own box. UPS and Fed-Ex deliver to the homes. A dog or a cat up to 25lbs is allowed in each home. There is an RV/boat storage compound. It is fenced and locked. • Our sales office is located in our Clubhouse complex. • Tara is well known for its personal touch – working closely with individuals to assure that each home meets the unique needs of its residents. Call Cathy LaPanne (603) 332-4030 for a viewing appointment. See our current sales listings here.